PANORAMIC WATER VIEWS! 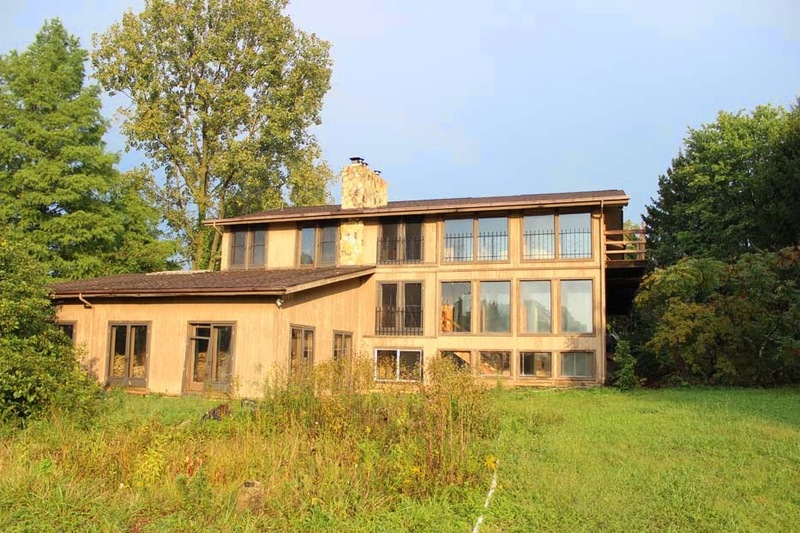 Unique and spacious Three-Story home nestled onto a very scenic wooded and ravine 1.5 acre lot overlooking Hoover Reservoir. ~ 3,500 SF home with large open and vaulted living areas, walls of windows, and spiral staircases. Giant Master Suite with private Bath. Lowest level has 2nd Kitchen (possible In-Law Suite) and walks out to an unfinished, indoor, inground pool area. 3 Fireplaces, new roof 2013. Needs updating, selling “as-is.” 5 BR’s & 4 Baths! Big Walnut Schools! Only $299,900! Call DeLena Today!